The 2010 Regular MLB Season has come to a close. It came down to the final day for 3 NL teams (with the Braves and Giants winning and the Padres looking towards 2011). And like the 2010 season, the 2010 Home Run Derby came down to the final day as well. King – This year’s sultan of swat is $5 Donation and he will be immortalized as the first official Home Run Derby Champ on our Hall of Fame. His team took the lead in early August and never returned it. Most teams who took Albert Pujols finished in the Top 10. Where his team took the championship was with the ability to pick an entire team that avoided injuries (unlike The Master Batters who got screwed by the expanded rosters in September and lost Hamilton to an injury but not to the DL). 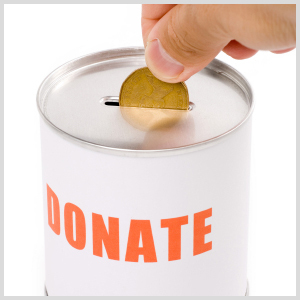 His $5 Donation turned into a 2000% return on investment. Congrats to you Sir, and enjoy the title of King for a year until you get to defend it in 2011. Second – In an amazing final 5 days, Kemp for MVP stole the show and second place. 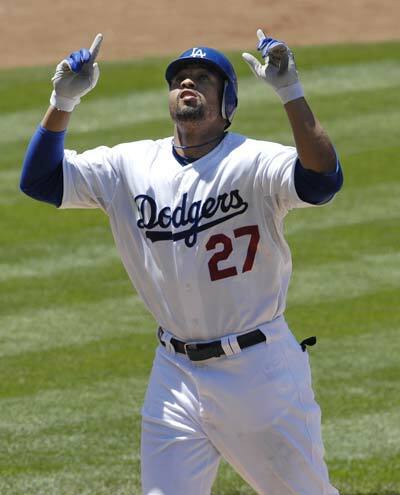 His devotion to the LA Dodgers and Matt Kemp paid off as Kemp hit 5 home runs in the last 5 games. This surged his team from unknown to a legend in the Kings of Cork Hall of Fame. If the Dodgers had stuck out Matt Kemp’s draught mid-season, who knows, Kemp for MVP could have made it interesting at the top of the leader board. Third – Many of you don’t know, but the females were at the top of the leader board all year. They truly knew what they were doing in this Home Run contest (it must be true, Chicks really do dig the long ball). Ruby in the Rough was the fortunate one to walk away with any of the cash prizes. Had she stuck with Tulowitzki she would have finished in second (Tulo belted 15 HR alone in September). But Votto was not a bad trade. She finished in a three way tie for third, but came away with the tie-breaker by only averaging one HR in ever 17.52 at-bats (the fewest among the three teams). Ruby, Way to completely destroy your boy friend in this competition. You get bragging rights for the next year that you know more baseball than him. Second Half Winner – Don’t forget, there is also a pprize to the team who hit the most home runs since the All-Star Break. There was a two-way tie for that honors. One being the overall King ($5 Donation) and one being Dawg Pound. The tie-breaker is the lowest AB/HR average for the second half only (this is not seen on the standings online). The winner is… the Dawg Pound. He had a second have AB/HR average of 17.1 while $5 Donation had an average of 17.63. So congrats to you Dawg Pound. You are immortalized in the Kings of Cork Hall of Fame forever. I hope you all enjoyed the first annual Home Run competition. I will be (at this time) continuing the competition for the 2011 season. I will send out a reminder email prior to the season officially starting next spring but please tell friends. The more, the merrier and the more prizes there will be. I may change it up a bit next season by possibly making the teams roster up to 6 players and potentially increasing the registration fee to $10 per entry. I will propose the ideas to the official Kings of Cork Council to determine the best ideas for an even better competition. Even though the season is over, I will continue to post interesting links and articles in the offseason.